Gov. Larry Hogan and U.S. Sen. Chris Van Hollen released their March Madness brackets Thursday afternoon and — to no one’s surprise — they both are predicting Maryland will win it all. 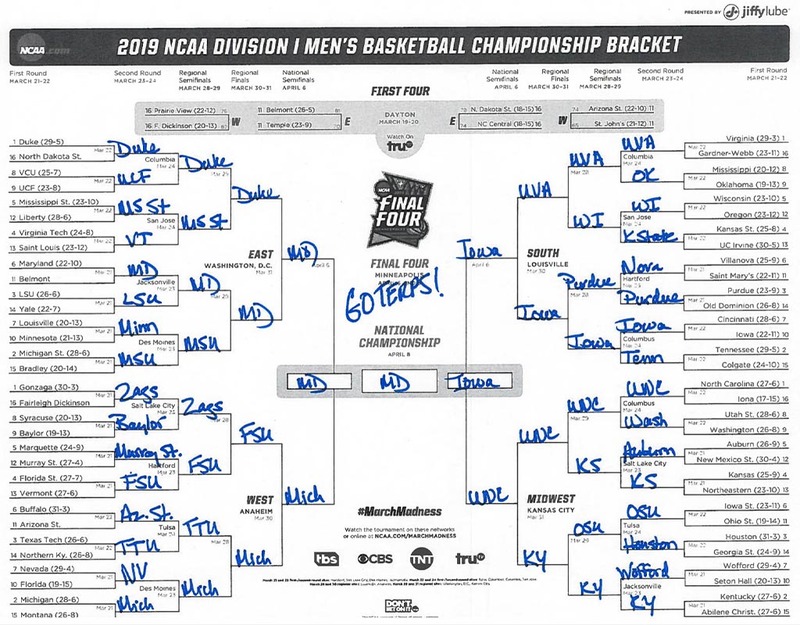 Hogan had the same spirit when he released his bracket on Twitter. He has Maryland going up against Iowa in the final game. “Never say never,” tweeted Hogan. Hogan, a Florida State graduate, also has the Seminoles winning three games then losing to Michigan in the Elite 8.